A couple weeks ago, Hard Rock Cafe introduced a limited edition nacho-specific menu aka Nachos Gone Wild. 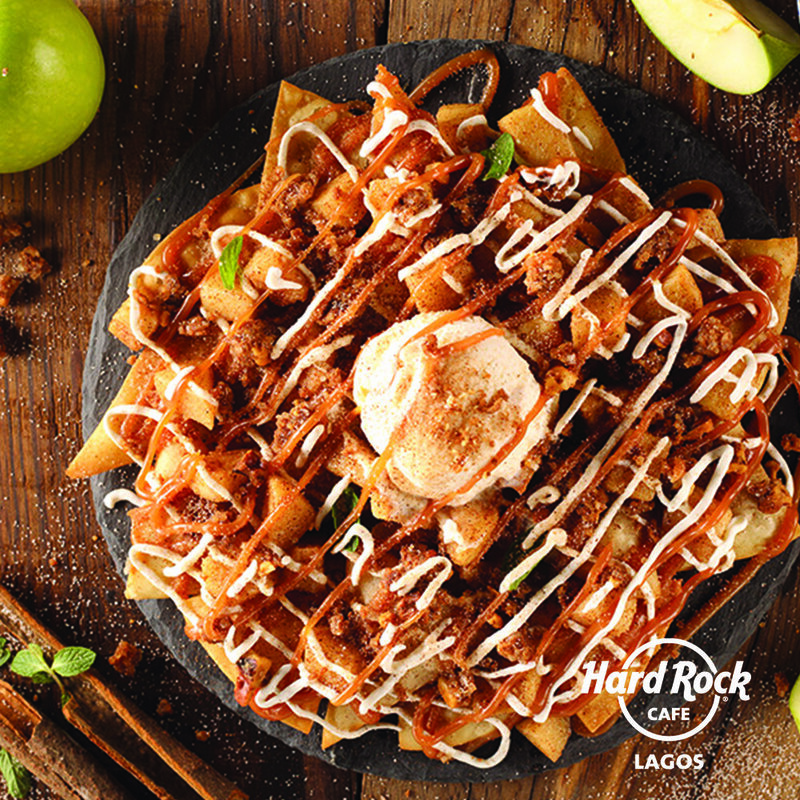 It’s an event that happens at Hard Rock Cafe’s across the world, and for Lagos, the limited run menu will feature a couple of Nigerian-inspired takes on Nachos like Suyalicious Nachos and Shawarma Nachos. In addition to the #naijastyle nachos, Hard Rock Cafe will also have other typical offerings like the Tex-Mex Nachos and a couple more creative iterations like the Pizzachos, Rodeo Nachos, and the Apple & Walnut Pie Nacho Crumble which are dessert nachos for the sweet tooths in the house like Folly. All together, they have seven different types of nachos, from sweet to savory, and ALL are available until April 30. It gets better because each nacho on the menu also has a recommended pairing with a unique margarita from the Hard Rock bar. Think Mojitaritas, Bulldog Margaritas, Cranberry and Lychee Margaritas to go with your nachos. © 2019 EatDrink Media. All Rights Reserved.